The giving season is officially upon us! This time of year can get pretty overwhelming, especially if you have children to buy presents for. And while all gifts are great, I have a special place in my heart for those that are intentionally given to help my child’s development. I’m a fan of the Fisher Price range of toys because they are more than toys that are fun to play with; they help to stimulate Kai’s senses, build his vocab, increase his motor skills…the list goes on. 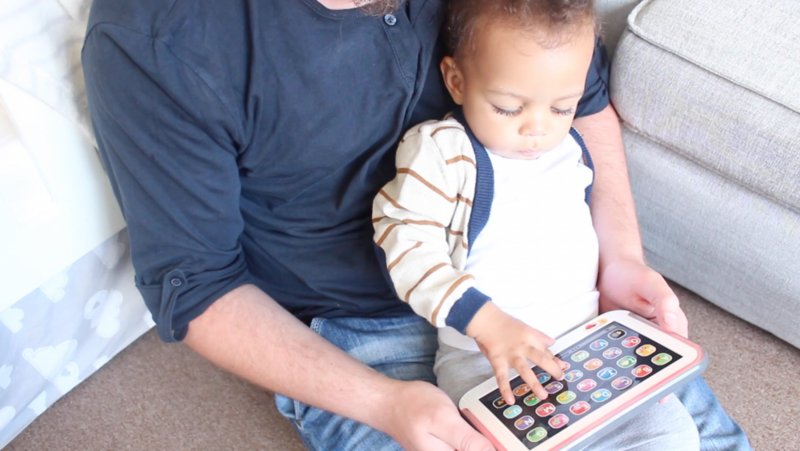 This Smart Stages Tablet from their innovative Laugh & Learn range grows with your child. It has multiple level settings that you can set according to your child’s age and development level. Each button teaches a new sound, letter, asks questions and interacts with your child. It also has all sorts of different songs that your kid can dance away to.